L.A. band Pepper Rabbit, primarily a duo of Xander Singh and Luc Laurent, have a uniquely textured and melodic sound that we experienced first-hand during Friday night’s performance at the Kanine Records Showcase for Brooklyn’s Northside Festival. Considering the layered depth they are able to create in both the studio and in their the live performances, it’s easy to see why they’ve already achieved much critical acclaim and toured with major acts such as Ra Ra Riot, Passion Pit, and Givers (which we had the pleasure of capturing for a Backyard Brunch Session earlier this year). This night’s performance was a mix of new and old with about half the songs coming from their debut album Beauregard and the other half coming from their newly released album Red Velvet Snow Ball. For this recording, I parked in our usual sweet spot and recorded the show with both Schoeps cardioid and hypercardioid microphones. Normally I wouldn’t choose to mix down all six channels, but thought it lent itself to a particularly good sound when mixed with the excellent soundboard feed provided the Knitting Factory’s sound engineer Rob. I hope you enjoy it! 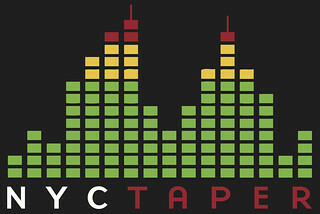 Recorded and released for nyctaper.com by hi and lo. Please support Pepper Rabbit by visiting their their MySpace page and by purchasing their debut album and latest release, Red Velvet Snow Ball, on iTunes or from the Kanine Records Shop. A huge thanks to Kanine Records and Pepper Rabbit for this amazing show!